Thank you for submitting your service request (SR #19-00182687). You will receive an email when your request has been addressed by the servicing agency (DPW). This service request (#19-00182687) has been marked as resolved. This should NOT be closed. The tree is still there. Thank you for submitting your service request (SR #19-00211833). You will receive an email when your request has been addressed by the servicing agency (DPW). 2 bags of yard waste missed. Rest of Neighbor’s had theirs picked up but ours was not. Thanks. Thank you for submitting your service request (SR #19-00202080). You will receive an email when your request has been addressed by the servicing agency (DPW). This service request (#19-00202080) has been marked as resolved. Thank you for submitting your service request (SR #19-00173533). You will receive an email when your request has been addressed by the servicing agency (DPW). More items and debris dumped at same location. This service request (#19-00173533) has been marked as resolved. Thank you for submitting your service request (SR #19-00208433). You will receive an email when your request has been addressed by the servicing agency (DPW). This service request (#19-00208433) has been marked as resolved. 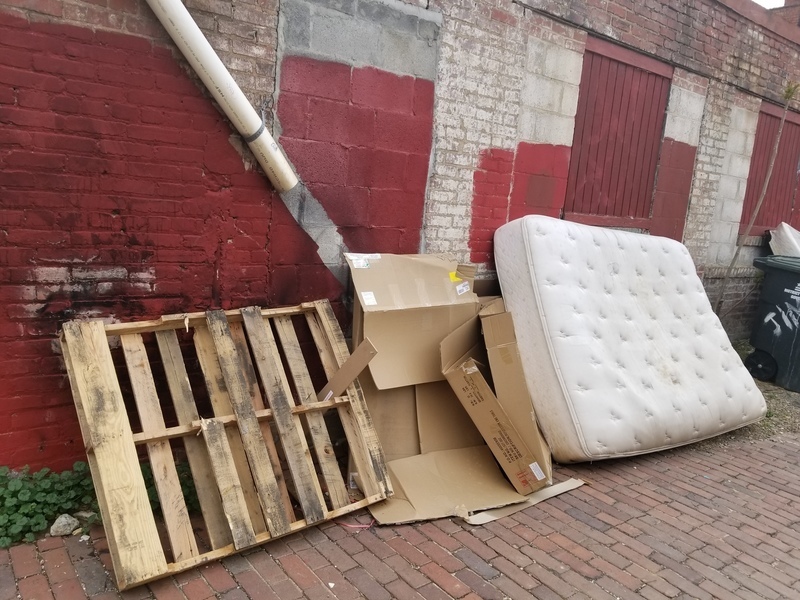 13th and Girard is plagued by trash on the sidewalks and treeboxes. perhaps a new trash can in the vicinity would help. Thank you for submitting your service request (SR #19-00214621). You will receive an email when your request has been addressed by the servicing agency (DPW). Totally faded, especially at the bridge. Very dangerous with all the delivery trucks. Thank you for submitting your service request (SR #18-00112935). You will receive an email when your request has been addressed by the servicing agency (DDOT). This service request (#18-00112935) has been marked as resolved. Thank you for submitting your service request (SR #19-00185781). You will receive an email when your request has been addressed by the servicing agency (DPW). This service request (#19-00185781) has been marked as resolved. No permit construction, jackhammering demolition in back. Thank you for submitting your service request (SR #19-00214500). You will receive an email when your request has been addressed by the servicing agency (DCRA). Thank you for submitting your service request (SR #19-00214475). You will receive an email when your request has been addressed by the servicing agency (DPW). A stump on the Eastern side of 41st Street needs to be removed so a new tree may be planted. Thank you! Thank you for submitting your service request (SR #19-00214473). You will receive an email when your request has been addressed by the servicing agency (DDOT).